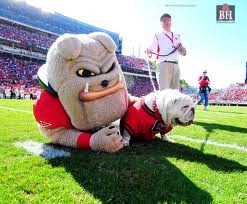 An Opinion On Sports: Hairy Dawg: Stadium Defender! You just gotta love that Hairy Dawg! Cheering on the Dawgs, posing with the fans, or looking after Sanford Stadium, there is no one who could do it better. Go you Hairy Dawg! It's Gameday!